WHO WE ARE. WHAT WE BELIEVE IN. WHY WE DO THIS. What makes great coaches successful is not just the talent of his players and coaches, but also his ability to create an environment that allows those talents to flourish. 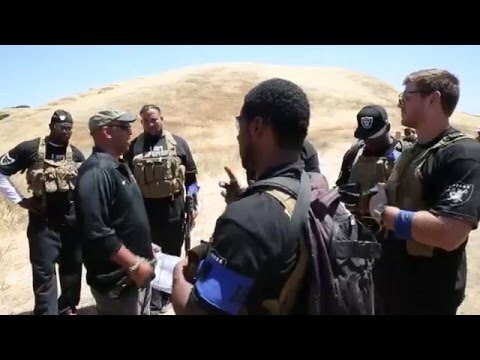 These are the highlights from Mission 6 Zero's 2014 Oakland Raiders Combat Immersion Scenario! Mission 6 Zero helped further develop Coach Allen's vision for an environment in which players actively seek to build upon each other’s talents, pull each other toward a common goal and understand better how and when to motivate each other. 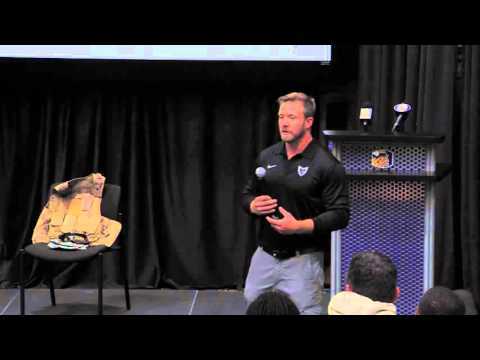 Mission 6 Zero founder, Nate Boyer, tells his incredible story about his path to the NFL! 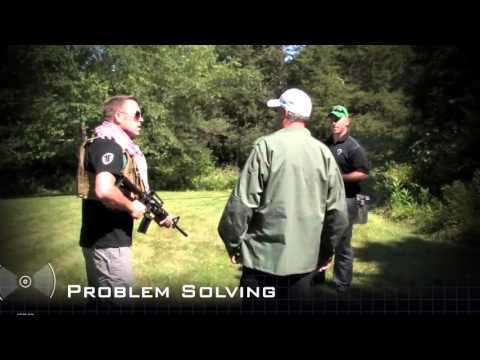 Mission 6 Zero's Situational Awareness Reaction exercise for the Oakland Raiders coaches in players in 2013. General Managers, Athletic Directors, and Head Coaches often make decisions with millions of dollars and dozens of jobs hanging in the balance based on a gut feeling and a set of abstract criteria for which there is no empirical data. You can measure a person’s height, weight, and 40 yard dash time. You can measure how many times that person can bench press 225 lbs. or how high they can jump….. but, how do you measure a person’s heart? Mission 6 Zero provides a way to measure those intangibles. Mission 6 Zero is offering hard data that can help narrow your selection process, supplement your interview process, and know who you have on the team. Utilizing the special skillset of retired CIA and FBI operatives in conjunction with US Special Forces combat experience and proven scientific theory from our Human Performance PhDs, Mission 6 Zero empowers you to unlock a player’s potential, from the inside out. Incredible experiences from Mission 6 Zero injured combat veteran instructors. These experiences add realism to our training and the powerful messages of overcoming adversity, mental toughness, and resiliency resonated with coaches and players alike! Tommy Parker, Joshua Hargis, and Joseph Serna delivered incredible leadership vignettes and life skills classes to the Oakland Raiders organization! The University of Texas brings in the Mission 6 Zero team to provide a Life Skills class during training camp. Nate Boyer and Jason Van Camp combine real world combat experience with scientific evidence based best practices to discuss RISE - Relentlessness, Intensity, Sacrifice, and Emotion. 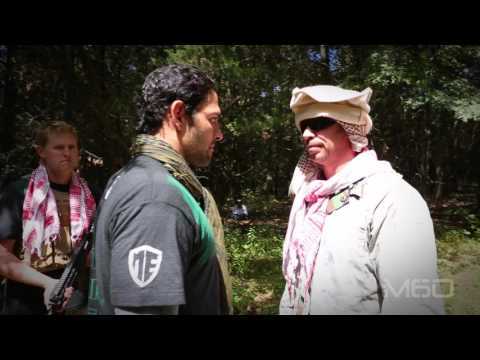 Mission 6 Zero founders Jason Van Camp and Nate Boyer discuss how US Army Special Forces training prepared Nate for the NFL. Special thanks to our partner, the NFL Network for the interview and the footage! Medal of Honor recipient Capt. Florent Groberg visits Halas Hall and shares his incredible story of tackling a suicide bomber and saving dozens of lives. Utilizing the special skillset of retired CIA and FBI operatives in conjunction with US Special Forces combat experience and proven scientific theory from our Human Performance PhDs, Mission 6 Zero empowers New York Jets players to unlock their potential, from the inside out. Mission 6 Zero's Intangibles Assessment is specifically designed for an individual, there is no outside assistance or influence. Along the way, participants learn more about themselves then they ever have up to that point in their lives. Participants must negotiate and problem solve their way through multi-faceted scenarios while operating solo and under intense emotional stress. Participants leave with expanded self-knowledge while learning about situational awareness, decision making, vulnerability, self-regulation, and overcoming adversity. 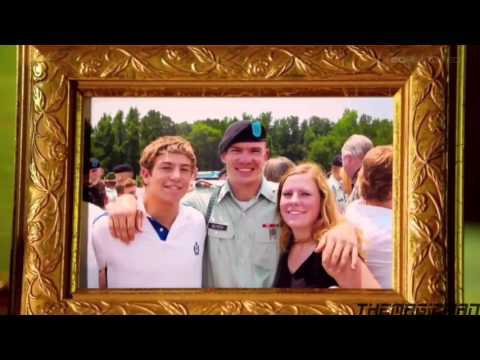 Tim Tebow is a Special Forces Operator! Tim Tebow a two-time national champion, first round NFL draft pick, Heisman trophy winner, and US Special Forces Commander during the Mission 6 Zero Combat Immersion Scenario. As a quarterback for the New York Jets in 2012, Tim and selected New York Jets teammates conducted both team and individual mock missions in order to reveal true character traits and empower them to "know themselves and know their team" better. Nate Boyer is what many would deem a renaissance man. The former active-duty Green Beret is also a world traveler, a philanthropist and community leader, and a professional athlete as a former member of the Seattle Seahawks. Nate is also an owner, operator, and founding member of Mission 6 Zero. Mission 6 Zero's Nate Boyer counts down the all time top ten NFL military veterans! What makes great coaches successful is not just the talent of his players and coaches, but also his ability to create an environment that allows those talents to flourish. 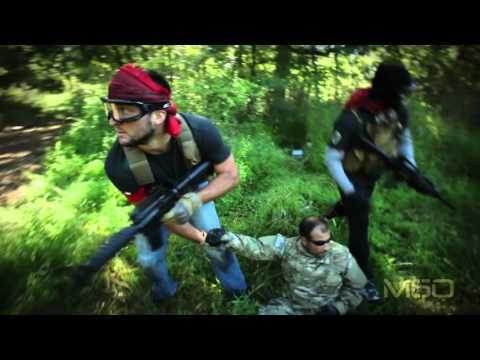 These are the highlights from Mission 6 Zero's 2012 New York Jets Combat Immersion Scenario! Mission 6 Zero helped further develop Coach Ryan's vision for an environment in which players actively seek to build upon each other’s talents, pull each other toward a common goal and understand better how and when to motivate each other. 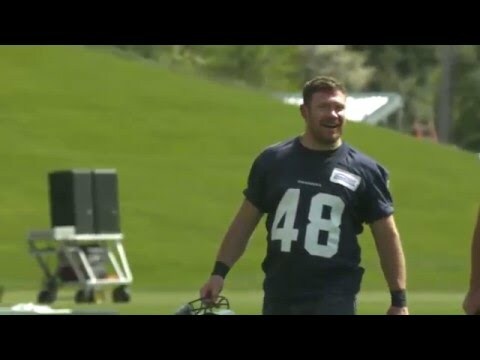 Mission 6 Zero founder, Nate Boyer, shares his experiences as a member of the Seattle Seahawks organization! 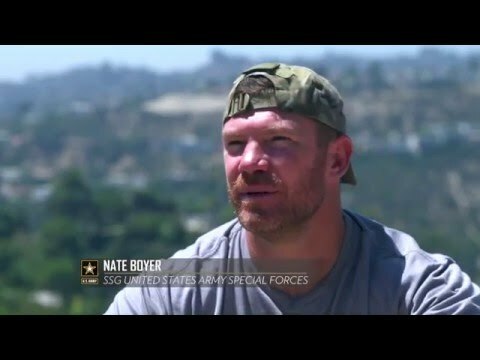 Nate Boyer’s belief that “Anything is Possible” has served him well throughout his life and has made him especially fit to speak about finding one’s passions and living with purpose for other people. Nate’s can-do attitude is contagious and his inspirational story resounds with any audience; students, veterans, businesspersons, athletes and people from all walks of like can take something away from his unique story. 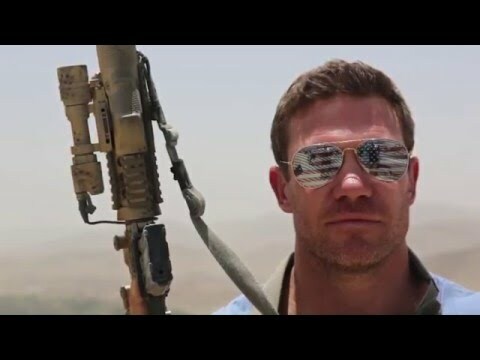 The legendary Nate Boyer is a former active-duty Green Beret and also a world traveler, a philanthropist and community leader, and a professional athlete as a former member of the Seattle Seahawks. Nate is also an owner, operator, and founding member of Mission 6 Zero. After joining the US Army in 2005, Boyer earned the coveted Green Beret in December, 2006. He was stationed in Okinawa throughout most of 2007 with 1st Special Forces Group. In April of 2008, Nate was deployed with ODA 0324 10th Special Forces Group to Iraq and served his tour of duty until January of 2009. He then served tours in Afghanistan from April-August, 2013 (Special Operations Joint Task Force-Afghanistan) and from April-August, 2014 (ODA 3116 3rd Special Forces Group). In addition to his deployments to Iraq and Afghanistan, Boyer completed a number of JCET (Joint Command Exchange Training) Missions to Israel (2009), Bulgaria (2011), and Greece (2012). 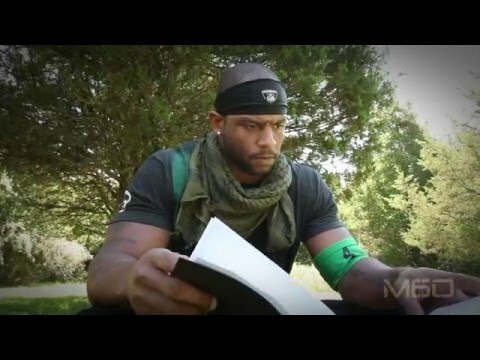 This video is one of the first videos made by Mission 6 Zero during our 2012 New York Jets coaching event! We have come a long way! 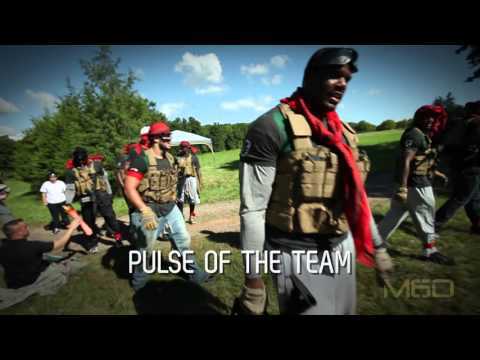 In one of our older videos, Mission 6 Zero role players (real-players) take the New York Jets coaching staff through an emotionally exhausting intangibles assessment exercise designed to gather intelligence on each individual in order to "know who you have on your team." 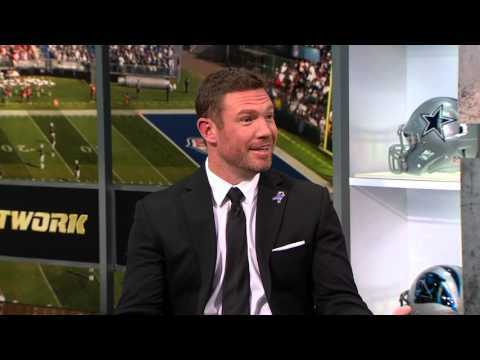 NFL Network snaps with Mission 6 Zero&#039;s Nate Boyer! Willie, Nate, and Nate Boyer talk long snapping skills on the NFL Network! Before signing with the Seattle Seahawks, Nate was a five-year player for the Texas Longhorns, Boyer served as the No. 1 long snapper on PAT/FG’s his last three seasons and also handled punt-snapping duties during 2013-14. He played in 39 career games. In 2012 Boyer received the Disney Spirit Award at the ESPN College Football Awards, which is given to the most inspirational figure in college football. 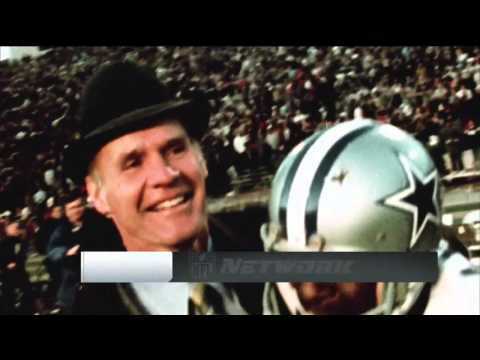 In 2013 the National Football Foundation awarded him with the coveted Legacy Award. He was named to the 2014 Allstate AFCA Good Works Team, which recognizes players whose charitable involvement and community service contributions stand out among all other student-athletes; was a three-time first-team Academic All-Big 12 choice (2012-14); and was first-team Capitol One Academic All-American in 2013. Boyer was named 2012-13 Big 12 Sportsperson of the Year and in 2012 became the first-ever recipient of the Armed Forces Merit Award presented by the Football Writers Association of America (FWAA). In January of 2015, he played in the Medal of Honor Bowl in Charleston, SC. This snapshot video is from a Life Skills presentation with the Minnesota Vikings organization. Mission 6 Zero Life Skills classes are interactive, tailored to the clients needs, and designed for a significant return on investment. The Vikings required a Life Skills class focused on grit, overcoming adversity, and resiliency. Following this class, the Vikings went on a tear, winning the NFC North division, and hosting a playoff game. Thank you for your interest in Mission 6 Zero.. We are confident that we can help you identify, assess and develop your organization. Your information has been received and we will be in contact with you shortly.